How to watch Cool Hand Luke (1967) on Netflix USA! 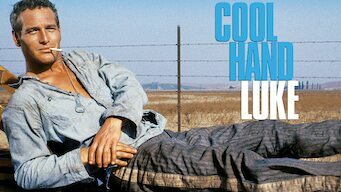 Yes, Cool Hand Luke is now available on American Netflix. It arrived for online streaming on January 1, 2019. We'll keep checking Netflix USA for Cool Hand Luke, and this page will be updated with any changes. Luke Jackson likes to do things his own way, which leads to a world of hurt when he ends up in a prison camp -- and on the wrong side of its warden. They've tried everything to curb his rebellious spirit. But they'll never break him. They can only kill him.